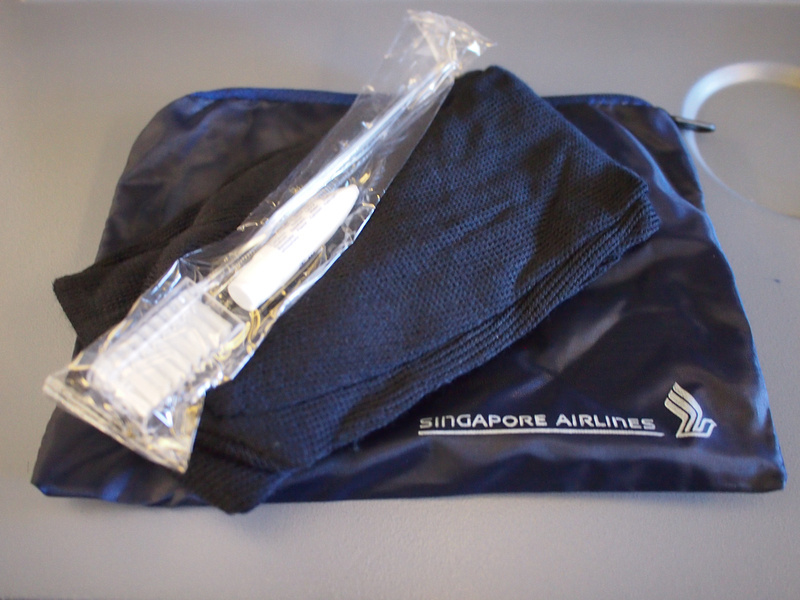 I flew with Singapore Airlines from Cape Town to Singapore. The flight was provided by South Africa Tourism (Australia) as part of a press trip I was on in Johannesburg and Durban. 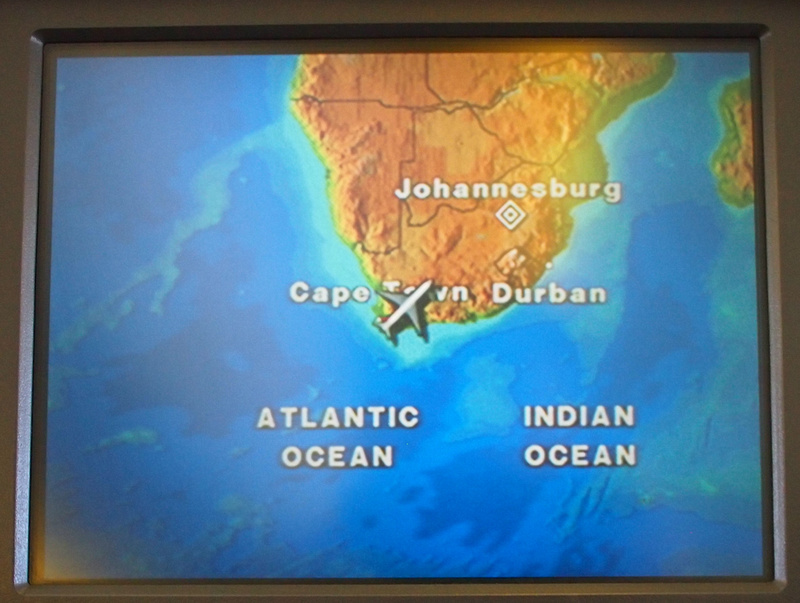 I went to Cape Town after the trip independently but they arranged my flight home. 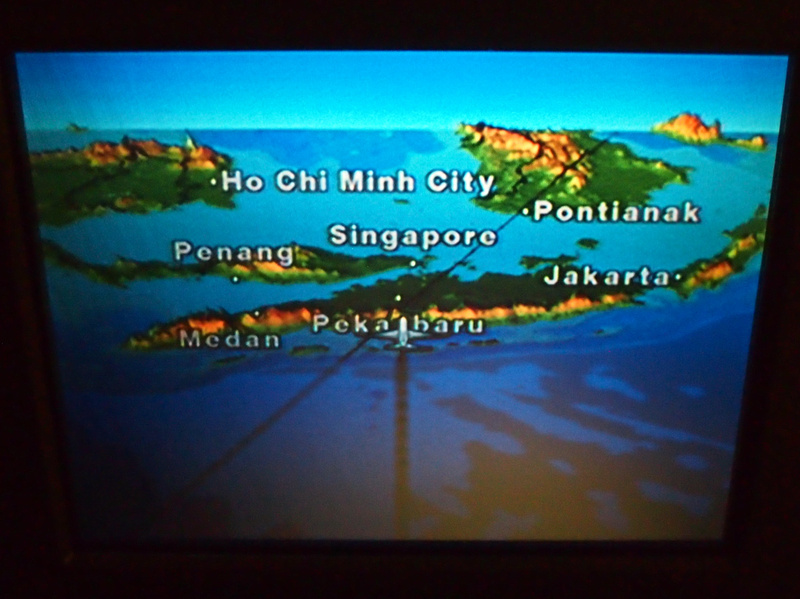 My eventual destination was Ho Chi Minh City so this flight turned out to be the most direct way back to Vietnam. Even though my flights were paid for I still compared online with Skyscanner and the Singapore option was among the cheapest flights as well as being the shortest travel time. When comes to flying from South Africa to Asia there is not a lot of choice. Cathay Pacific and South African fly from Joburg to Hong Kong, and there is a flight from JNB to Beijing. 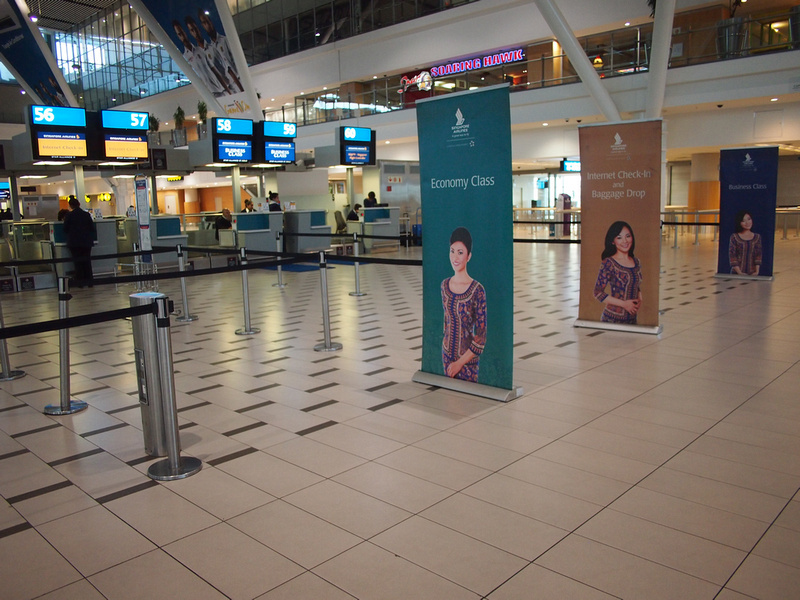 Singapore Airlines is the only airline from Southeast Asia to fly to South Africa. 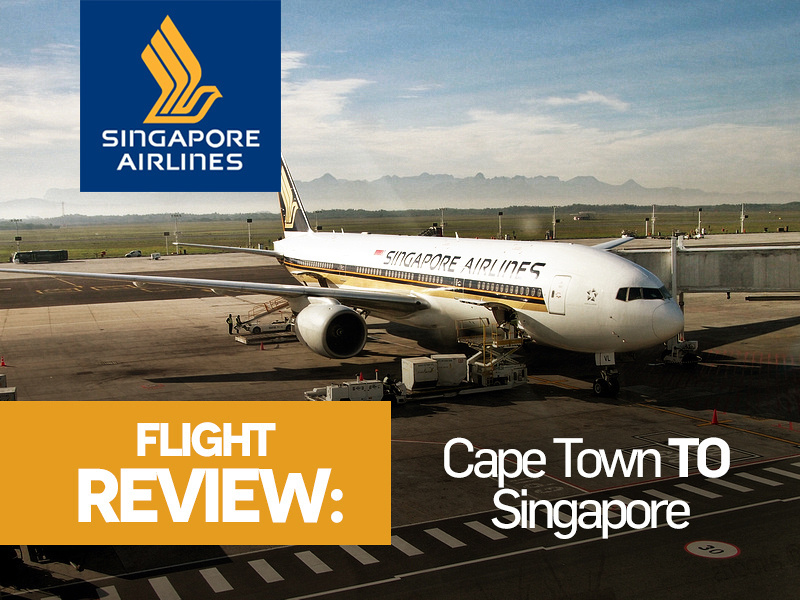 It is also the only airline from Asia that serves Cape Town, with the other airlines stopping at Johannesburg and letting partner airlines cover other destinations. The Singapore flight stops at Joburg on its inbound and outbound flights. Check in is available 48 hours before the flight, but you can log in earlier and select a seat. I logged in a week before the flight and picked an aisle seat. 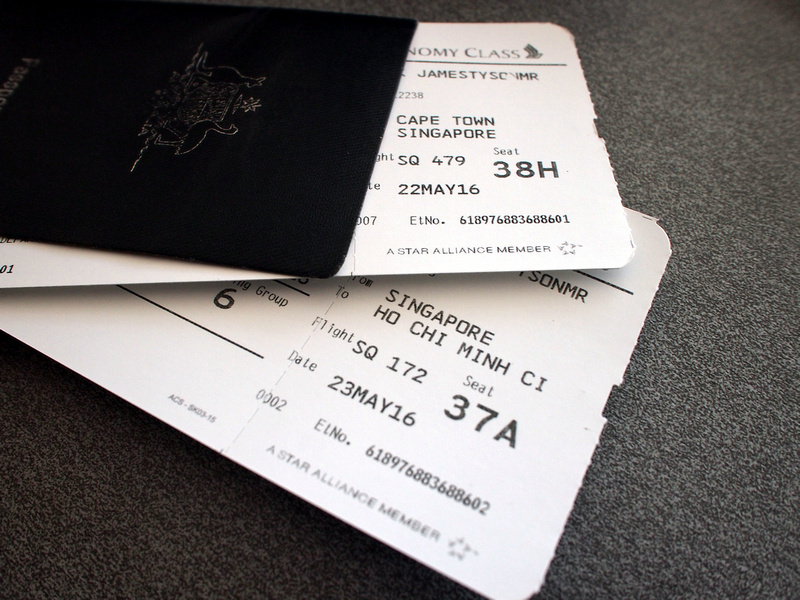 Being a Star Alliance airline I also registered my United frequent flyer number on the flight. I got to the airport about 2.5 hours before the flight and there was no one waiting to check in. I went to the internet check in line and checked my bag through to Ho Chi Minh City. When foreign airlines make two stops in one country they are generally not allowed to pick up passengers unless there has been a rare exception when two countries have made a treaty to do so. For example Qantas flies from Sydney to LA to New York, but it can’t pick up passengers on the LA to NY leg. Similarly, if United or American wanted to fly from LA to Sydney and then onto Perth, they couldn’t pick passengers up on the Sydney to Perth leg. And so it is with this flight from Cape Town to Johannesburg. The passengers boarding at Cape Town are going all the way to Singapore. When the flight arrived I counted 107 passengers getting off the flight. I estimated that there were about 50 passengers on the CPT-JNB leg. With all the empty rows it was tempting to find a row to myself, but the seat you are assigned is for the two legs of the flight and you have to wait until the rest of the passengers board before knowing if it is a full flight. With two hours of flying time and most of the passengers still to come it doesn’t make sense to provide a full meal service, so a light meal is served to tide us over until lunch is served after JNB. I got a chicken bagel with a coffee. Upon arrival at JNB we are not allowed off the flight. The scheduled time on the ground at JNB is about one hour. A cleaning crew come through to clean the plane again and soon the passengers start boarding. I estimated the flight to be about 95% full, so not a bad load. Once the flight takes off the full service long haul segment begins. The flight leaves at 13.45 and arrives the next day at 6:10 in the morning, with flying time of around 10.25 hours. While I have flown plenty of long haul flights before, my last long haul flight with Singapore Airlines was just last month, when I flew premium economy from Singapore to London. 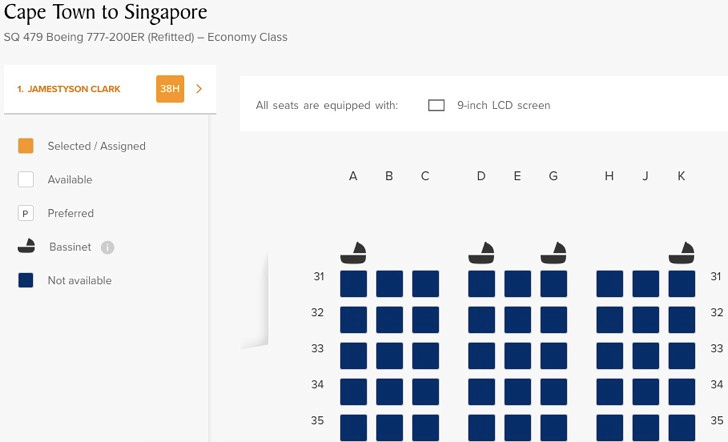 It was going to be be tough downgrading in experience, but at the same time at I got to compare what economy and premium economy is like on SIA. 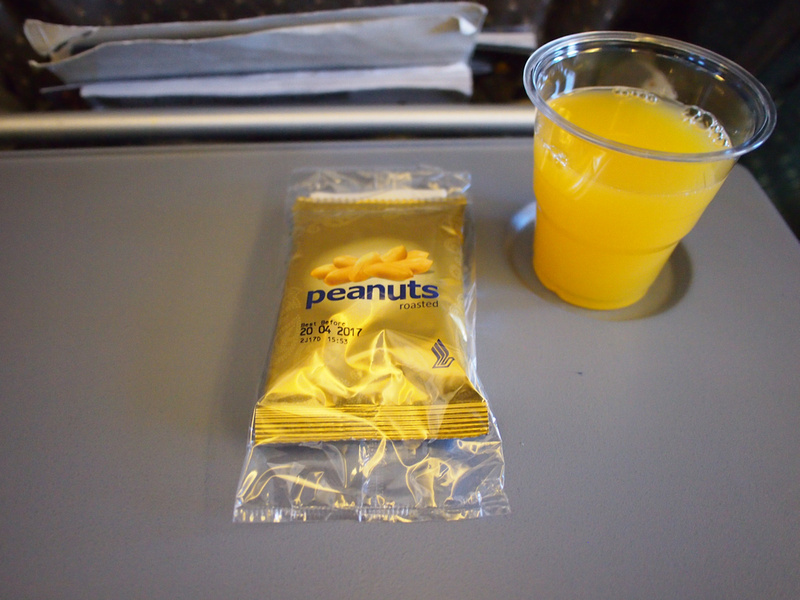 After takeoff we were served the usual welcome drink and peanuts, along with an amenities pack of socks and toothbrush kit. 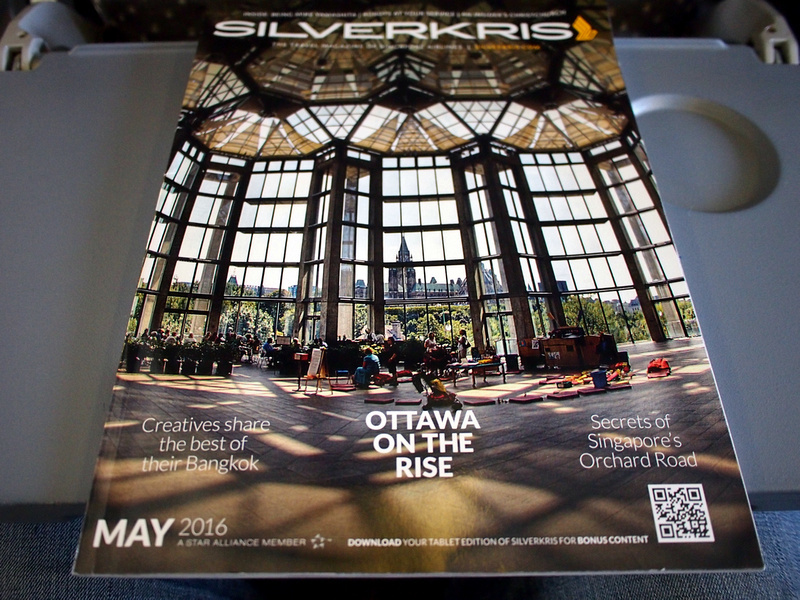 The inflight magazine of Singapore Airlines is Silverkris, which is presented in English. This flight was with an 777-200ER with economy seats in 3-3-3 configuration. 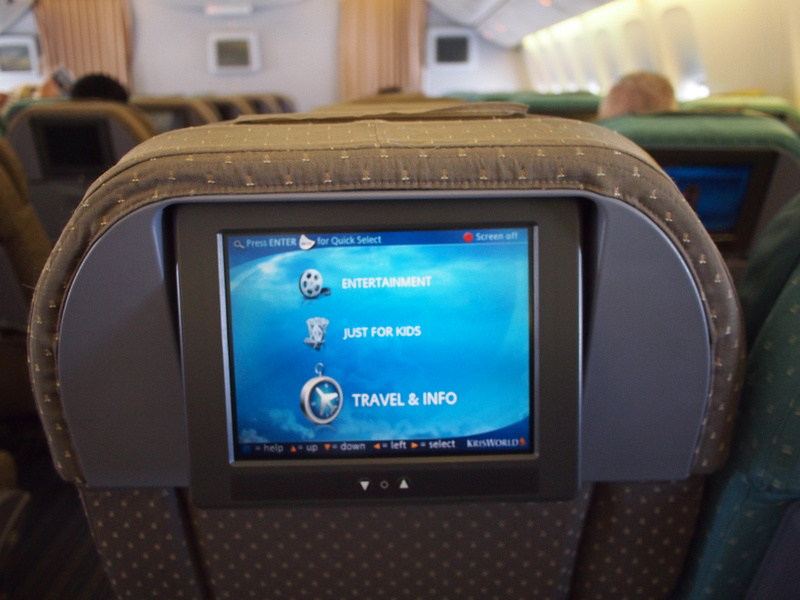 The entertainment screen was 9 inches, which is smaller than other Singapore screens. This must by one of the older 777’s in the SIA fleet, one that gets sent to the end of the world that is Cape Town. I found out after my flight that Singapore Airlines has ordered 65 A350 aircraft, and that the A350-900s will serve South Africa from June, 2016. Ahh if I had only been travelling then as I am still yet to fly with an A350. Another giveaway of the older equipment is the old controls that resemble an old gaming unit. Despite the older units the seats and cabin in general felt modern. There were 80 movies to choose from at least so I picked out some movies to watch after lunch. For lunch I got the chicken option. 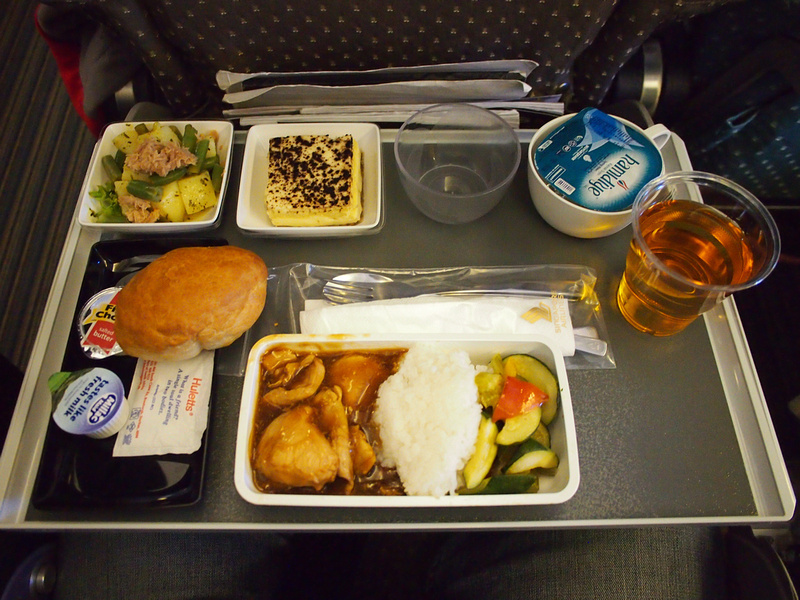 Lunch was an appetiser tuna salad with marinated potato and vegetable, braised chicken in oriental sauce with ginger, spring onion, Chinese vegetables and steamed rice, tiramisu cake, bread roll and spread, coffee and tea. 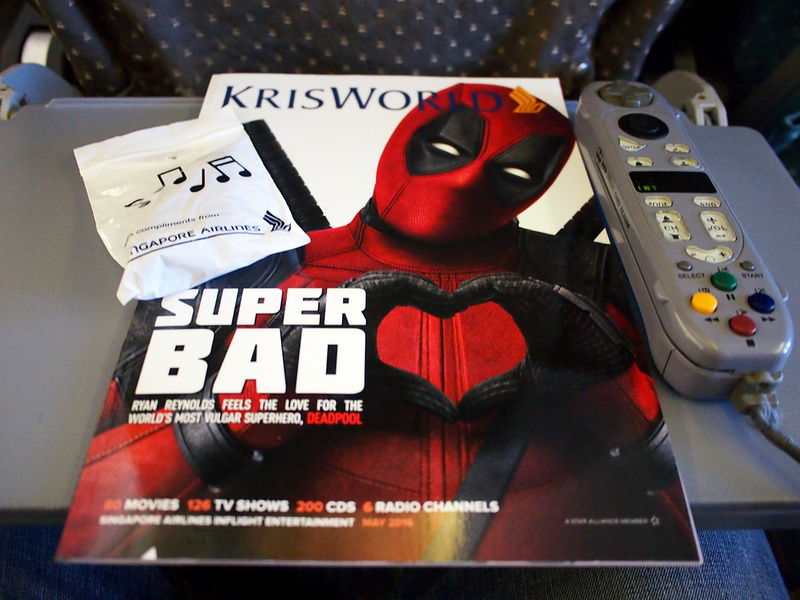 Drinks are available throughout the flight, which I never miss an opportunity to rehydrate (usually water or OJ). 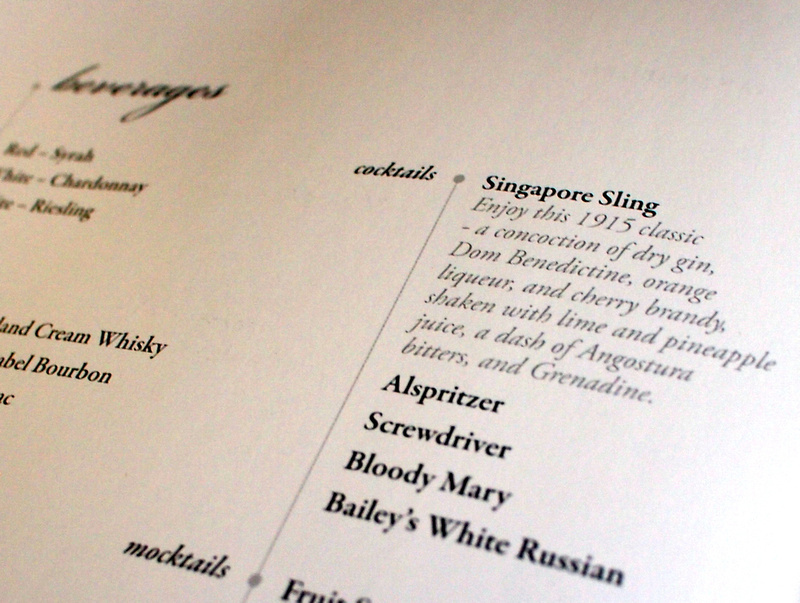 If you want to get in the mood for going to Singapore you can get a Singapore Sling. Another giveaway that the entertainment unit might be older than the rest was from the US-centric world map. With the USA placed in the middle the great land mass of Asia is cut in half. 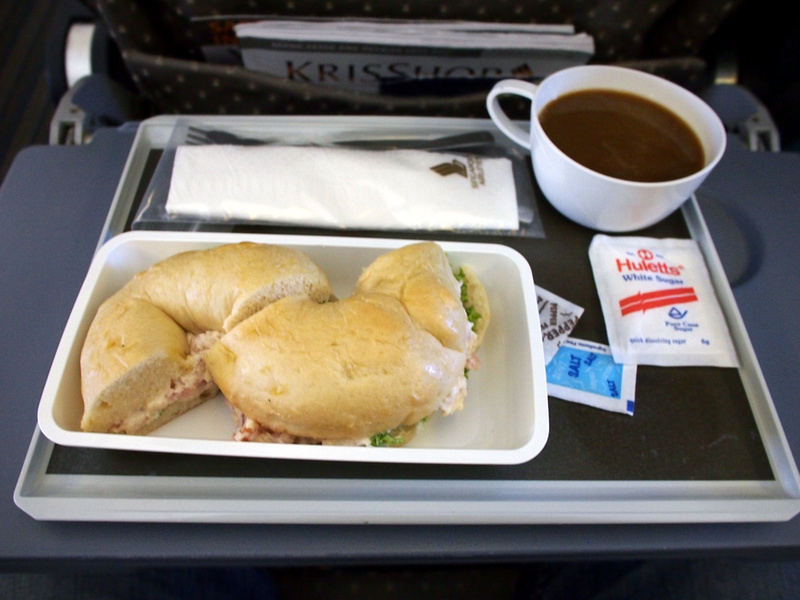 Throughout the flight you can also request food at any time, and a flight attendant walked through at least twice that I remember with snacks. The “delectables” on offer included cold sandwiches, nuts, chocolates, chips, fruit, and savoury snacks. I don’t sleep on flights so I resign myself to movies or reading for the duration of the flight. I got in three movies before breakfast was served. For breakfast I went with the omelette options. The meal included seasonal fresh fruit, spinach and feta cheese omelette, pork sausage tomato and sautéed potatoes, bread roll and spread, coffee and tea. 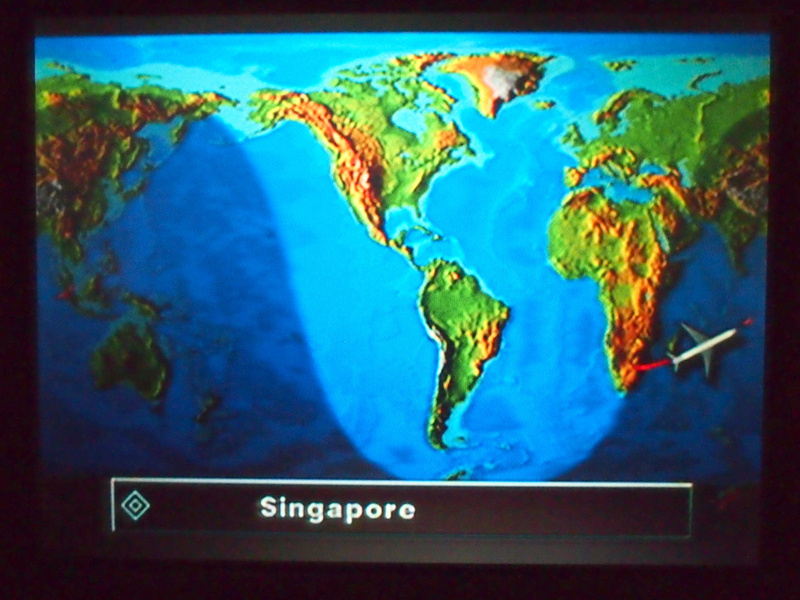 Approaching the equator and soon arriving in Singapore. And I see Ho Chi Minh City in the distance; I will be soon be back there for lunch! 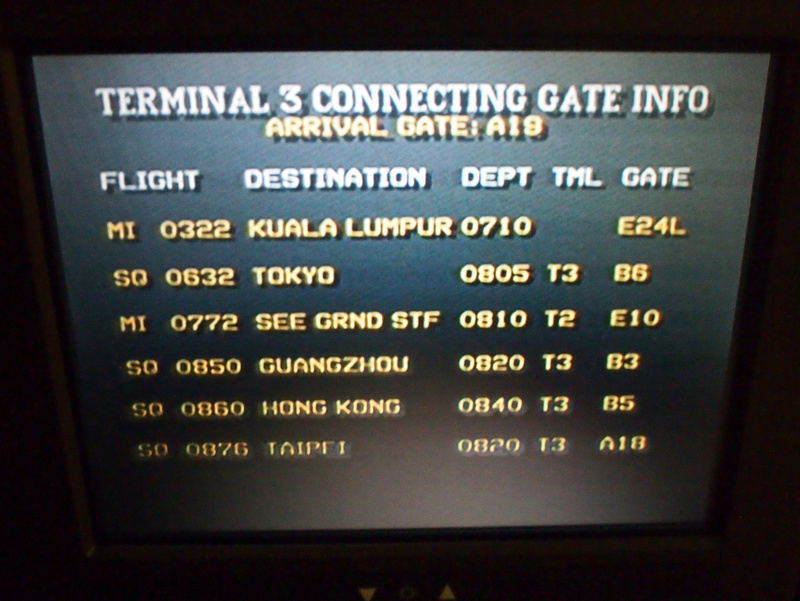 Singapore Changi is a huge airport and there are lots of connecting flights, and flight info is provided inflight. Changi is well laid out though and easy to find your way around, so connecting is not difficult. The flight arrived on time and I had three and a half hours to wait until my connecting flight to Saigon. 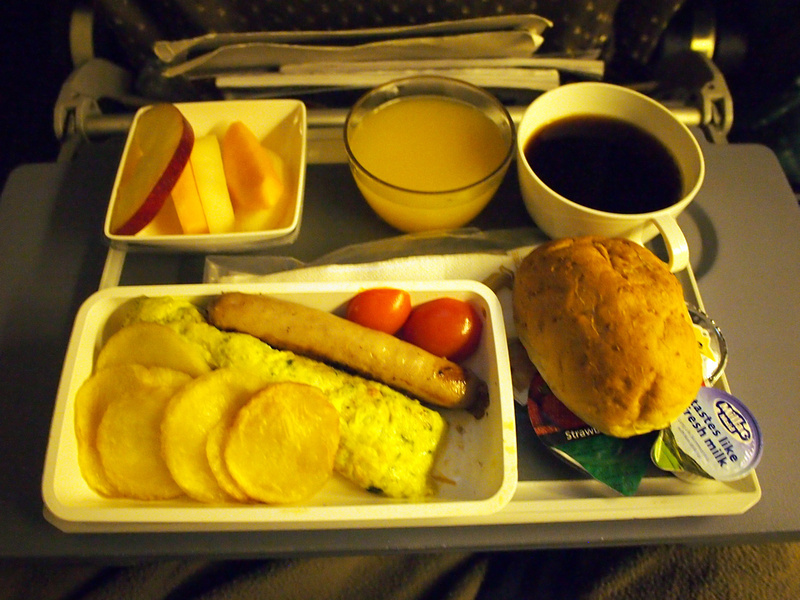 Overall this was a great flight and I was happy with my first long haul economy flight with Singapore Airlines. The flight attendants are friendly and they still wear the fabulous uniforms that made the Singapore Girl brand so famous. I’m surprised that I hadn’t flown with them sooner, but I have usually flown with Qantas for points loyalty purposes whenever I have flown long haul through SIN. Singapore is also a great stopover destination so if you do fly longhaul with Singapore to go somewhere else I recommend getting off and having a look around. For more photos of my other flights visit the Singapore Airlines photo gallery.